The Willow Creek system of trails connects Park City to Kimball Junction with almost 10 kilometers of groomed trails. The trip takes you along some of the more scenic winter trails in Park City beside the creek full of beaver ponds, past historic farms and adjacent to the iconic Swaner Nature Preserve. The trail seems relatively flat but you will gain elevation from Kimball Junction and Park City. Turn around and it is almost all downhill! Stop at Willow Creek Park or Matt Knoop Memorial Park along the way to enjoy a variety of loops so you can customize your experience each time you visit. 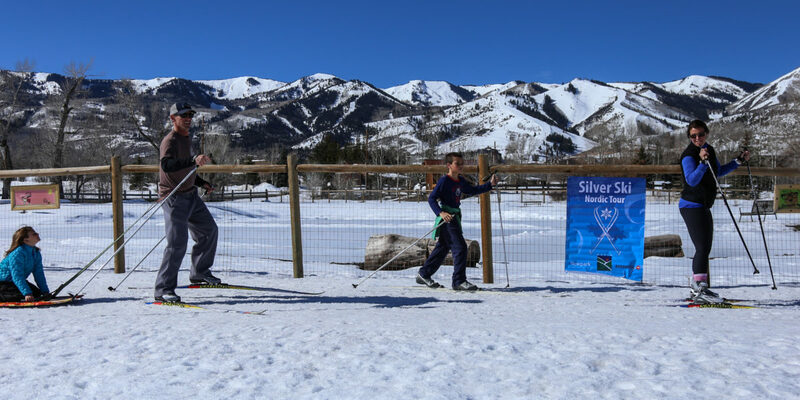 With 6 kilometers of classic lanes and some of the easiest terrain in the Park City area, the Willow Creek Park Complex is a great place to give cross-country and skate skiing a try.